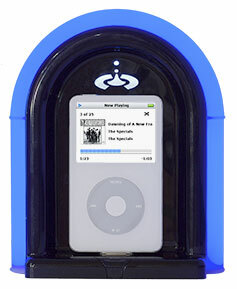 Another gadget to give your very modern iPod the retro treatment – the iPod JukeDock. 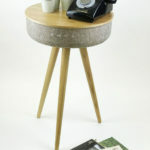 Reminiscent of a jukebox from the 1950s, the JukeDock connects to your stereo or TV, giving you the option of playing your tunes through a larger sound system. It also charges your player while it’s docked. You can even control your iPod with remote from your stereo system. And just to add some extra cheese, you’ll even get a few coloured lights courtesy of the JukeDock. Available online, you can pick one up in black or white for $99.99 (which is just over £50).